Charlie's First Kiss. Charlie's first kiss with the little red haired girl.. Wallpaper and background images in the Peanuts club tagged: charlie brown little red haired girl kiss. Charlie's first kiss with the little red haired girl. I was one of the lucky ones to grow up with Peanuts. 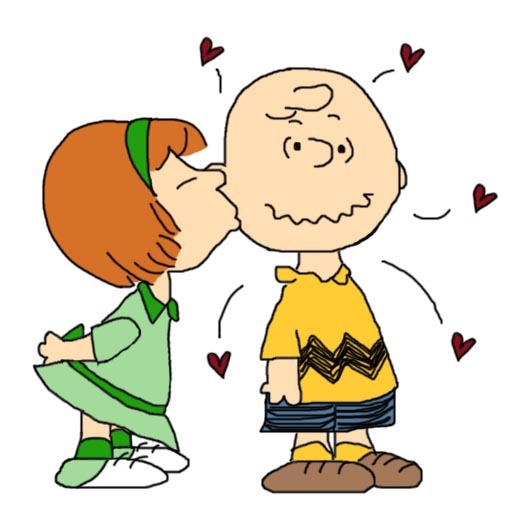 When the TV show came out and Charlie had the crush on the little red haired girl it became very personal. Ha Ha I have red hair and wouldn't you know that I had a boy in my class named Charles Brown. Oh we took lots of kidding! I'll always remember him. Wow! You did it, Charlie!